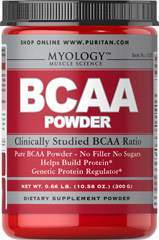 BCAA Powder supplies a precise, clinically studied ratio of Leucine, Valine and Isoleucine (45/30/25). Branch Chain Amino Acids (BCAAs) are important for bodybuilders and athletes because they make up a large percentage of the amino acid composition of muscle. Leucine, Isoleucine and Valine are collectively known as BCAAs. 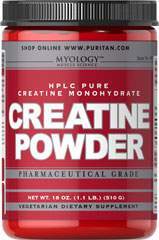 Branched Chain Amino Acids are designed to help support protein metabolism in muscle tissue. ** BCAAs can be used to build protein or they can be broken down in the muscle to supply a direct source of energy. ** This dual action makes our BCAA Complex an ideal complement to anyone's supplement stack. We are proud to bring you BCAA 1000 mg from Optimum Nutrition. 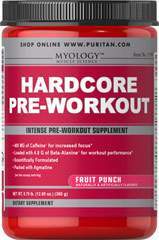 Look to Puritan's Pride for high-quality national brands and great nutrition at the best possible prices. Amino X is manufactured by BSN®. Available in Blue Raspberry and Watermelon flavors.